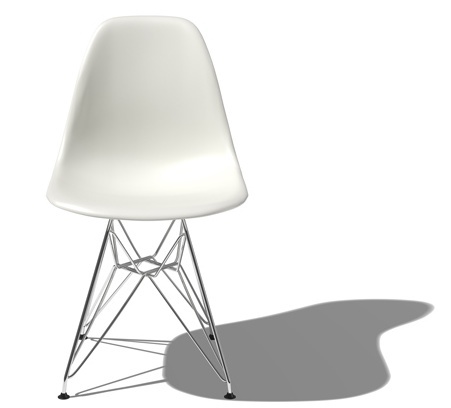 Charles and Ray Eames were an amazing design duo and I’d give myÂ right arm to spend a week with them in their studio.Â The Eiffel Tower Chair is just one of their many iconic designs -Â it literally looks good in any setting. Â This chair has been cool since 1948, it’s a classic so you really can’t go wrong with this purchase. 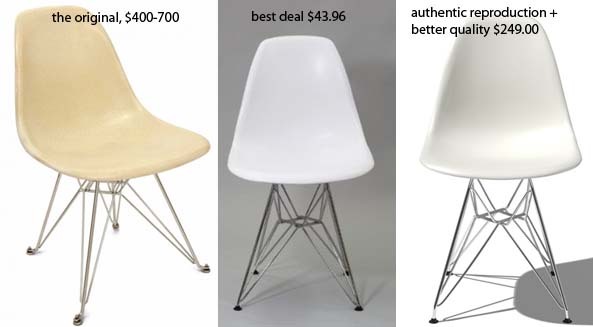 We can’t all afford the original and most of us can’t get the Herman Miller reproduction either. Â I didÂ a little hunting and found a replica for under $50 bucks! Buy the Herman Miller Reproduction at Hive Modern for $249.00 – This one is an exact replica and is made from eco-friendly materials. …and the reproduced chair juxtaposed by a farm table. Which do you prefer?